Many companies that manufacture health supplements promote l carnitine weight loss products. They claim that l carnitine (or l-carnitine) speeds up metabolism, which leads to weight loss, but very few studies provide evidence for such a claim. A recent study also shows that the l carnitine in red meat can be harmful. Whether l carnitine for weight loss is good or bad, let's find out by comparing the benefits and side effects of l carnitine. L carnitine is a naturally occurring substance (amino acid) that is involved in the metabolism of fatty acids to produce energy. It is also known for its antioxidant properties. There are arguments about whether l carnitine can be used for losing weight or not. Some support this and some dispute it. Now let's take a look at that. In 1997, a medical journal published a research that found teens that did exercise, ate well and took 1000 milligrams of l carnitine every day for 3 months lost more weight than those who do not take this supplement. This study stired up an interest in l carnitine for weight loss. And in 2003, Drug & Aging published another study saying 2000 milligrams of l carnitine per day could help old people lose fat and gain muscle. But there are arguments that say l carnitine can't burn fat and bring weight loss. According to a study published in 2000, obese women who took 2000 milligrams of l carnitine accompanied by 30-minute aerobic exercise with moderate intensity 4 times every week did not lose much weight. A Canadian scientist D.J. Dyck said that there are no evidence to support that l carnitine is effective for weight loss. If you decide to take l carnitine for weight loss, you should mind the dosage you take. There are many forms of l carnitine supplements, including acetyl-l-carnitine, but no matter which one you take, the recommended maximum dosage is 2000 milligrams every day. 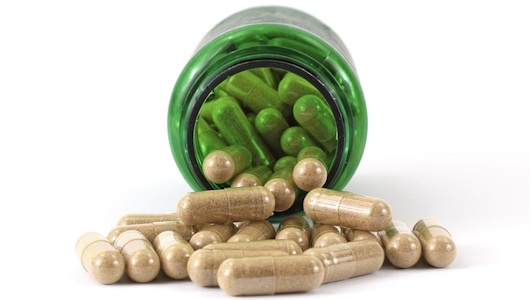 It's better to consult a doctor before taking this supplement to find out whether you should take it, the suitable dosage and which type is the best. Consult your doctor if you experience the following side effects while taking l carnitine for weight loss: high blood pressure, fast heartbeat, fever, abdominal/stomach cramps, diarrhea, headache, nausea/vomiting, depression, dizziness, body odor, impaired vision, loss of appetite, tingling sensation, swelling in hands, legs, and feet, weakness and seizures. L carnitine for weight loss occurs due to its action in transferring long-chain fatty acids into molecules that can be used produce energy. L carnitine is also believed to act as an appetite suppressant. L carnitine is believed to increase muscle strength and to promote the development of bigger muscles. Aging is associated with bone loss which is a major concern for post-menopausal women and elderly individuals. Bone loss leads to weak bones (osteoporosis), which increased your chances of fractures. Taking l carnitine can help slow down bone loss and improve bone strength. L carnitine may be used with conventional treatment for heart conditions such as angina. It reduces patients' need for medicines and enables them to exercise without experiencing chest pain. Some studies suggest that taking l carnitine after a heart attack reduces the risk of suffering from another one. L carnitine may help protect the brain and improve brain function during aging as well as during stress. People who take medications that contain valproic acid may ingest dangerous levels of the compound and suffer from poisoning. This chemical compound is found in anticonvulsants and mood-stabilizing drugs that are used in the treatment of epilepsy, major depression, schizophrenia, and bipolar disorder. L carnitine has been shown to help as an antidote for valproic acid poisoning. New mothers who breastfeed may have lower levels of l carnitine. Even if you have sufficient levels of it while you are pregnant, taking more l carnitine can help prevent deficiencies while breast feeding. Combining breast feeding and l carnitine intake may help new moms lose weight faster. L carnitine has been recommended to help improve the sperm count and quality of sperm in infertile men. People who have type 2 diabetes may benefit from L carnitine supplementation because it helps increase glucose uptake, glucose metabolism and glucose storage. L carnitine acts as an antioxidant that helps prevent cell damage caused by free radicals. People who have cold or seasonal allergies may find this helpful. New research suggests that L carnitine may pose a threat to heart. L carnitine is converted by intestinal bacteria into TMA, a substance that is processed by the liver into a compound that is linked to plaque build-up in your arteries and to heart disease. This process was seen to be most apparent in people who ate red meat regularly. What's more, research also shows that taking too much l carnitine may cause anemia. Psychiatric side effects: depression and drug dependence.